Learn how the conjugate system works and how to implement it in your traning. Time: Saturday 23/3 2019 12.00 – 20.00 (8 pm). 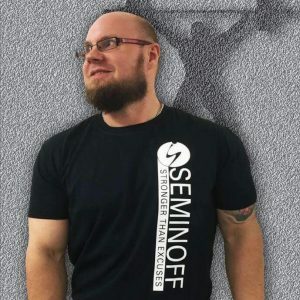 This seminar is held by Simon Kankkonen, lifter from Westside Barbell (Top 10 in benchpress all time) and Stefan Waltersson, columnist at Eliftefts and CEO of Seminoff Sport & Rehab. If you want to learn about the conjugate system, in the same way its used at Westside Barbell this is the seminar for you! Please notice that once you payed your spot, its binding, so it will be no refund. You can sell your spot, if something happen and you cant come. Your recite are your ticket for the seminar.